Helps me keep going when things are lumpy. I love dancing in the dark with all my doubts about dithering. I saw your tweet today. I liked it. I almost said something about my walkman being long gone. Love this post! Move me: many of her songs. First overheard 15 years ago, did not hear name, could not findagain. Freshly discovered a few weeks ago. You asked, I made a modern mixtape to share with you all. Hmm, embedding the playlist did not work out. Sorry. Here is the mixtape URL. 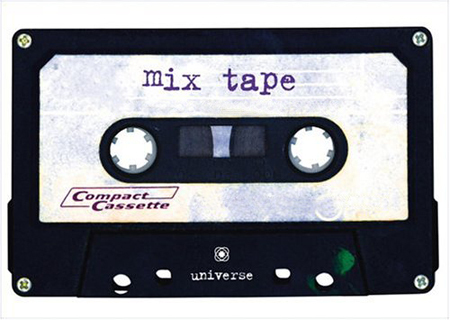 Um, mixtapes with URL? Yeah, enjoy if you like. Love the idea, Music responds and manifests, actuates and delights, inspires and flows within our hyperconnected meta personas. here follows a list I have just prepared for you, hope you enjoy it as much as I enjoyed preparing it. Great idea I love this and am looking forward to seeing what you all share. I posted my link using my personal twitter account @jacquitaylorfb The link to my list is http://t.co/RXDRL1E, as the rest of the team didn’t want to own the tracks which inspire, remind and make me dance! Next step: live group chat session with a synchronized playlist? Just remember you don’t compete music. You experience it. compete? i don’t understand what you mean. music is a very personal thing, yet connected on a level deeper than most other things, to a collective stream of information. for me, songs, the selection and seemingly infinite variables of songs we can listen to, represent timelines with embedded metadata. emotions, memories and thoughts linger in the rhythms heard, thought and sensed, continuing to flow, while we experience life, yet consist of the reflections into the future and past while in the moment. there is much to be done, so let’s enjoy doing it under the influence. A few tracks of sublimity. Okay. I think GrooveShark is now my favorite music sharing service.